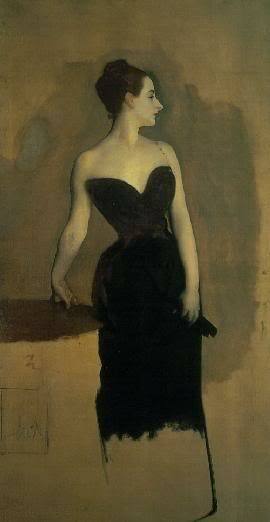 John Singer Sargent was beginning his career as an artist and he needed a reputation. He decided to portrait Virginie Gautreau, a French upper-class woman who, like him, was an American citizen. Virginie was known in her social scene for her delicate beauty, her hourglass figure and, above all, for her white and uniform skin. He answered the proposal of the artist to portrait her affirmatively and they began with the work. But after several sessions, the process became too slow: Sargent could not decide the best position for the model to be portrayed and he constantly changed details in the canvas. He would often say that the beauty of Virginie was unpaintable. However, after 30 sessions and, despite the impatience of the model, he could finish. In the same year, Sargent exhibited his portrait at the Paris Salon and he got the reputation he wanted, although he did not get it for the best reasons: Parisian society was shocked by the canvas. The dress was too low-cut for that time; the gloomy-goth make up he chose disconcerted the audience; the strange position of the right arm of the model make them uncomfortable; but if there was something tacky, something repulsive, was that, in the original painting, the right strap of the dress fell slightly at the side of Virginie’s shoulder: a complete lack of decorum. The portrait was too much. The critics made Sargent wish to change the strap, but he could not do it until the exhibition ended, giving us the painting we now know. 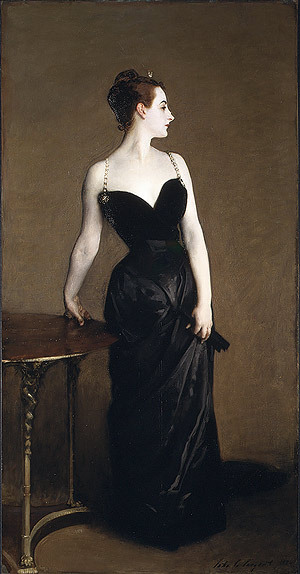 Due to the scandal, Sargent had to leave Paris, but he always thought that the Portrait of Madame X was one of his greatest works. ~ by Álvaro Mazzino on July 19, 2010. I provide credit and sources back to your site? My blog is in the very same area of interest as yours and my users would truly benefit from some of the information you present here. June has been a busy month for Samsung and its ongoing Lollipop roll out. The company’s rolled out tons of Android Lollipop updates including a brand new Android 5.1.1 update for select devices. This entry was posted on July 19, 2010 at 16:32 and is filed under Realism.You can follow any responses to this entry through the RSS 2.0 feed.You can leave a response, or trackback from your own site.